Jo Mazelis (also writes as Jo Hughes) is a short story, non-fiction and poetry writer, novelist, photographer, designer and illustrator. Born in 1956 in Swansea, she has a BA from Swansea Institute and a MA from the University of Wales Swansea. After working in London for many years, she returned to her home town in 1991. She has been a prize-winner in the Rhys Davies Short Story Competition three times, and her collection of stories Diving Girls (Parthian, 2002) was shortlisted for Commonwealth ‘Best First Book’ and ‘Welsh Book of the Year’ prizes. Her second book Circle Games, published by Parthian in 2005, was on the ‘Wales Book of the Year’ 2006 Long List. Her short stories have been widely published and broadcast on BBC Radio 4, and have appeared in various anthologies and magazines, such as New Welsh Review, Cambrensis, Corridor, Spare Rib, Everywoman, The Cardiff Poet and The Ottawa Citizen. Her first novel, Significance, is due to be published in 2014. 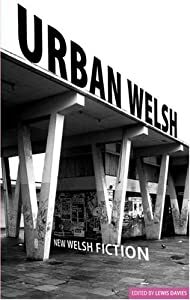 Her poetry has appeared in New Welsh Review and Poetry Wales and in anthologies. A selection of stories from both her books was translated into Danish as Forbuden Frugt (Arvids, 2007). During the 1980s she worked as a graphic designer, photographer and illustrator for the magazines City Limits, Women’s Review, Spare Rib, Undercurrents, Everywoman and New Dance.